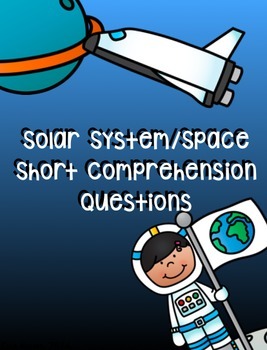 This is a packet of 8 reading comprehension questions about the solar system. 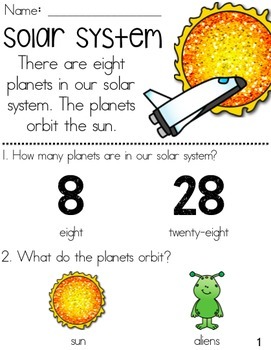 Each page includes 2-3 sentences about the 8 planets and the sun and two questions to answer from the passage. Could be used as morning work/extra work/check-in after learning about a planet.